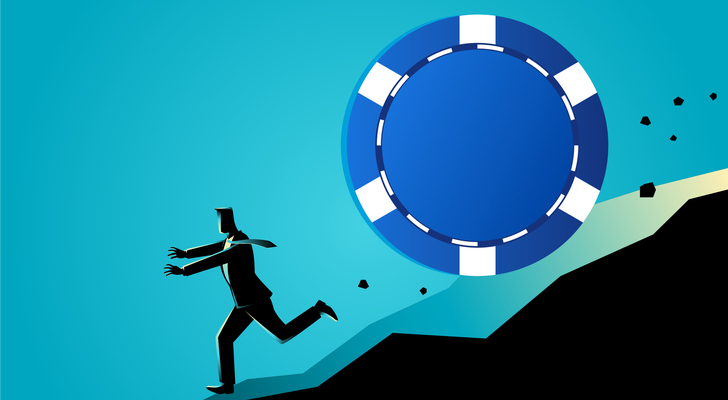 Investing solely in blue-chip stocks seems like a sound investment strategy. You buy good, established companies — preferably paying a dividend — and hold them for the long-term. In the meanwhile, you avoid chasing high-risk stocks like biotechnology companies or leveraged oil drivers. Just stick with safe, steady and (hopefully) boring stocks, and you’re fine. Of course, that only works if you pick the correct blue chips. Eastman Kodak Company (NYSE:KODK) was a blue-chip stock at one point before going bankrupt in 2012. So was General Motors Company (NYSE:GM) — a classic “widows and orphans” stock before it went under in 2009. United States Steel Corporation (NYSE:X), International Business Machines Corp. (NYSE:IBM) and Xerox Corp (NYSE:XRX) were all blue chips in one sense or another, and all of them have delivered a lot more pain than gain in recent years. With the broader markets near all-time highs, stock picking is even more important. And while I don’t necessarily believe these 10 stocks include the next Polaroid or Xerox, they all have flaws that should lead them lower in 2017 … and maybe lower. Here’s a look at 10 blue-chip stocks that are dead money for the foreseeable future. I’ve said it before, and I’ll say it again: Few companies are positioned worse toward the modern consumer than The Coca-Cola Co (NYSE:KO). Soda taxes, obesity concerns and a collapse in diet soda sales all are pressuring Coke’s revenue and earnings. Coke itself is guiding for non-GAAP earnings per share to decline in 2017 despite plans to spend roughly $2 billion on share repurchases. Unlike rival PepsiCo, Inc. (NYSE:PEP) — which at least has a snack business in its Frito-Lay unit — Coke is a beverage play, through and through. And it’s hard to believe that even with international sales and (potentially) acquisitions from time to time, that demand for soda, in particular, is going to do anything but decline over time. Yet KO stock still trades for about 23x 2017 guided EPS — a multiple that suggests significant growth going forward. With KO stock now at a seven-month high, it’s simply time to move on. There are better consumer-facing stocks out there, and better ways to get the 3.5% dividend yield offered by Coke. At some point in 2017, investors will figure that out. It’s not quite as simple as to say that Caterpillar Inc. (NYSE:CAT) should be trading lower simply because earnings and sales have declined for four straight years, with a fifth consecutive drop expected in 2017. CAT is a cyclical stock, after all, and earnings multiples should expand at cyclical lows and contract at cyclical tops … at least in theory. But it has to matter at some point that Caterpillar is trading at something close to 40 times 2017 EPS. It has to matter that the company has repeatedly missed guidance over the past few years. There should be some skepticism to the fact that bulls see the closure of more than 30 facilities in less than two years, and the layoffs of nearly 20,000 employees, as doing nothing but expanding margins when demand returns. Not to mention, there was that little federal raid of Caterpillar’s operations. The largest problem with the bull case for CAT is the idea that current weakness is purely cyclical. Admittedly, the company is still dealing with a glut of equipment made during the peak of the China-driven commodity “supercycle” earlier this decade. But that was a bubble — not a cyclical top. The same is true of shale production of oil and gas in 2012-14. With Caterpillar’s earnings not even stabilized yet, and a cyclical rebound likely years off, investors seem likely to run out of patience, and out-year projections, at some point. 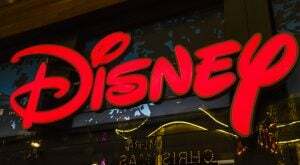 Here’s what should worry investors in Walt Disney Co (NYSE:DIS) stock: The company is executing very well. The acquisition of the Star Wars franchise has been a success, with the first two Disney-produced films putting up monster numbers. The film business as a whole set industry records in 2016. The theme park business is running nicely, growing revenue 6% in Disney’s first quarter, while operating profit rose an impressive 13%. Goldman Sachs even just added DIS to its “Americas Conviction Buy” list thanks to the strength of movies including Beauty and the Beast. That’s all overshadowed by the weakness in the company’s Media Networks business … and that’s not going to change. Disney’s ESPN unit is in decline, with little chance of reversal. ESPN’s huge profit margins are based in part in getting cable subscribers to pay $7-plus for month for ESPN alone (not to mention smaller channels like ESPN2 and ESPNews) — whether they want it or not. And I don’t expect that fix to come for some time, if ever. 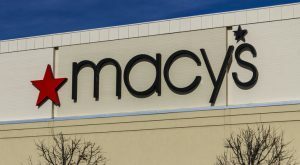 It might be a stretch at this point to call Macy’s Inc (NYSE:M) a blue chip, but it does remain one of the most recognizable brands in all of retail. But at the same time, it is a highly dangerous stock at the moment. M stock does pay a dividend yield of more than 5%, and there is some potential interest in the company’s real estate. But earnings are declining, which is going to limit any real acquisition interest. Traffic to regional malls — still the linchpin of Macy’s brick-and-mortar strategy — is declining at a mid-single-digit rate annually. And with labor and health care costs rising, SG&A deleverage will be too intent for those earnings to stabilize. The problems at Macy’s don’t just stem from competition from Amazon.com, Inc. (NASDAQ:AMZN), either. Online competition from Wayfair Inc (NYSE:W) is intense, and growing. DTC sites like Casper are eroding share in Macy’s valuable mattress business. The “one-stop shop” model as a whole is in trouble — online and offline. And the same goes for Macy’s stock. Admittedly, buying Boeing Co (NYSE:BA) probably isn’t the worst decision in the world. Boeing is an industry leader in airplane manufacturing. It has done a nice job of competing against rival Airbus Group (OTCMKTS:EADSY) over the past few years. And with millions of people in developing countries like India and China moving into the middle class, the mid- to long-term outlook for air travel looks relatively positive. But I still believe it’s wise to take profits in BA stock, as I argued last month. Boeing trades near all-time highs, and has risen nearly 50% off 52-week lows. At 18 times 2018 EPS, it’s near the high end of its historical valuation range. And competition is intensifying, both from defense rivals like Lockheed Martin Corporation (NYSE:LMT) and China’s Comac in aircraft. Again, Boeing isn’t a terrible investment — but it does look like BA stock has flown too far, too fast. A pullback looks likely this year. After a nice post-election run, shares of Campbell Soup Company (NYSE:CPB) have declined steadily over the past two months. Don’t expect that decline to stop quite yet. A key culprit was a weak fiscal Q2 report in February, where the company reported a year-over-year decline in sales. The legacy Campbell’s business — like Coke — seems poorly positioned in an era where “fresh” and “healthy” are more in line with consumer tastes. Campbell’s efforts to meet that demand through the acquisitions of Bolthouse Farms and Garden Fresh Gourmet haven’t worked out as planned. Campbell is guiding for EPS growth of just 2% to 5% in its fiscal 2017, despite significant cost-cutting. And while those cost cuts are likely to extend through the end of the decade, their impact will moderate over time. All that will be left are brands like Campbell’s and Pepperidge Farm, which seem more like 20th century relics rather than 21st century growth drivers. Neither seems enough to support an earnings multiple still above 18x — let alone the earnings growth and/or higher multiple needed to drive CPB stock higher. The bulls behind Procter & Gamble Co (NYSE:PG) keep finding new arguments as to why PG stock is undervalued. Going back some four years, Bill Ackman — of Herbalife Ltd. (NYSE:HLF) infamy — predicted PG could be worth $125 per share by 2015, boosted by $10 billion of cost cuts and a segment reorganization. But the CEO who started that round of cost-cutting, Bob McDonald, was pushed out, replaced to much fanfare by company veteran A.G. Lafley. During Lafley’s tenure, PG bulls continually pointed to a more nimble operating structure as P&G divested brands, most notably selling its beauty business to Coty Inc (NYSE:COTY). Now, another activist, Trian Fund Management, has taken a major PG stake. And investors again are bidding up PG stock, which neared an all-time high earlier this year before retreating. Yet Procter & Gamble’s earnings have shown basically zero growth on an organic basis (ie, excluding the impact of brand sales) over the past few years. The company continues to bleed market share. Margin and pricing pressure continue, to the point that P&G has cut razor prices in its cash-cow Gillette unit. This simply isn’t a company showing any growth, or impressive execution — and it has been that way for most of this decade. As the news of the activist stake is sold (as appears to be the case at the moment), that lack of growth will show through in PG’s share price. Shares of British American Tobacco PLC (ADR) (NYSEMKT:BTI) have soared since the election. The big news is BTI’s acquisition of Reynolds American, Inc. (NYSE:RAI), which investors clearly approve of. BTI stock is up more than 25% just since November, adding some $30 billion in equity value in the process. Tobacco stocks historically have been a favorite of many long-term investors. They typically pay substantial dividends — BTI yields over 3.2% at the moment — and have a “defensive” quality in recessions. But the RAI-BTI tie-up certainly seems like the type of deal that, in retrospect, will look foolish. The industry is declining by British American’s own numbers, with its organic volume falling 1% in 2016. That pressure should only accelerate as anti-smoking campaigns make their way to the developing world. It’s one thing to own a “sin stock.” It’s another altogether to own a sin stock whose sales and industry are in decline. 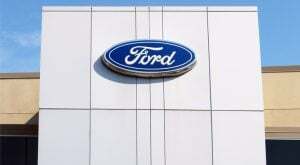 With respect to my colleague Bret Kenwell, I don’t think Ford Motor Company (NYSE:F) and General Motors Company (NYSE:GM) are among the best dividend stocks to buy. Both stocks are cheap, trading at around 6 to 7 times forward earnings. The news this week that Tesla Inc (NASDAQ:TSLA) passed both companies in terms of market capitalization highlights just how little GM and F are valued. But as far as 2017 goes, I do think both Ford and General Motors will get even cheaper. There is some potential good news from a Trump Administration-led review of EPA policies. But it’s also becoming clear that 2017 auto sales are going to decline — and possibly sharply. The “peak auto” narrative seems likely to keep a lid on automaker stocks (Tesla aside), and the continuing focus on autonomous driving likely is a negative in terms of industry sentiment. Again, longer-term, both F and GM may simply be too cheap, and will eventually rebound once Wall Street as a whole realizes that. But as far as 2017 goes, investors who subscribe to that view would be wise to wait — a more attractive entry point seems likely to arrive sometime later this year or in 2018. As of this writing, the author was short CAT through bearish options spreads. Article printed from InvestorPlace Media, https://investorplace.com/2017/04/10-blue-chip-stocks-bleed-2017/.